A delightful community of meadows, trees, ponds and estate-size homes that are an interesting mix of traditional, transitional and contemporary designs. Rochester, Troy and Auburn Hills are just a short distance away. Goodison Place is one of Oakland County’s premier developments. 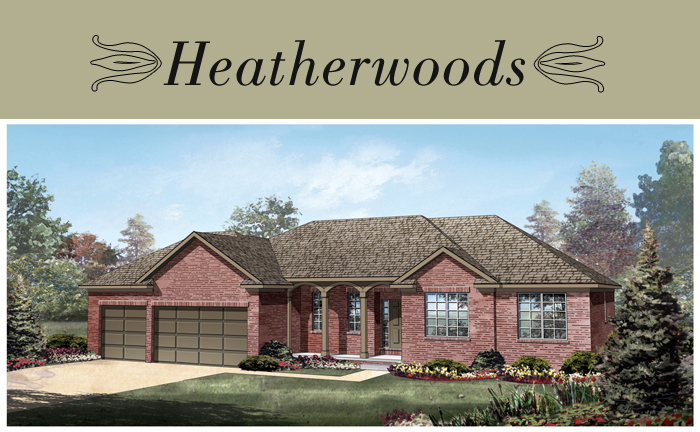 Estate-sized home sites, located in an area rich in character and tradition. You’ll enjoy the grandeur and serenity of rolling terrain, towering trees and winding streets in a community just minutes from historic downtown Rochester where your children may attend nationally acclaimed Rochester Hills Schools. As much as things have changed in the last three decades that Vito Anthony Homes has been in business, much has indeed stayed the same, "like its Old-World attention to detail, quality craftsmanship, and reputation for design innovation. "We're the benchmark for custom home design and construction," says Vito Pampalona, owner and president of Vito Anthony Homes, which is building exceptional estate-size homes in two of Oakland County's choicest neighborhoods -- Manchester Knolls in Rochester Hills, and Goodison Place in Oakland Township. The pride of Vito Anthony, though, is its "Signature Series" turnkey estate-size homes. Designed by nationally known architects and interior designers, these one-of-a-kind turnkey homes will begin at 8,000 square feet, and feature amenities so splendid and material so luxurious, they must be seen to be fully appreciated. Starting at $2 million, a "Signature Series" home might include a climate-controlled wine cellar with adjoining tasting room, a seven-car garage -- ideal for classic car storage, a humidor, a theater room, and radiant heating. Explaining the "Signature Series", Pampalona adds, "We outdid ourselves...raising the bar that much higher." For the discriminating home buyer, that bar is close at hand.